Nigeria’s president has formally launched a national electronic identity card, which all Nigerians will have to obtain by 2019 if they want to vote. 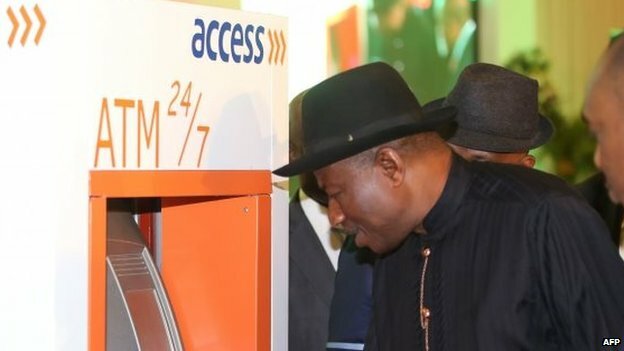 Goodluck Jonathan received the first biometric card, which can also be used to make electronic payments. “The card is not only a means of certifying your identity, but also a personal database repository and payment card, all in your pocket,” Jonathan said at the launch in the capital, Abuja. According to Nigeria’s central bank, about 30 percent of the country’s 167 million inhabitants have access to bank accounts, Bloomberg news agency reports. MasterCard said combining an identity card with a payment card for those citizens ages 16 and over was a significant move. The new cards show a person’s photograph, name, age and unique ID number – and 10 fingerprints and an iris are scanned during enrollment. There are enrollment centers in all 36 states and there is no fee to get the card, though people will be charged in the event that it needs to be replaced.